As you drive through the gate you approach the backside of the main transmitter building. 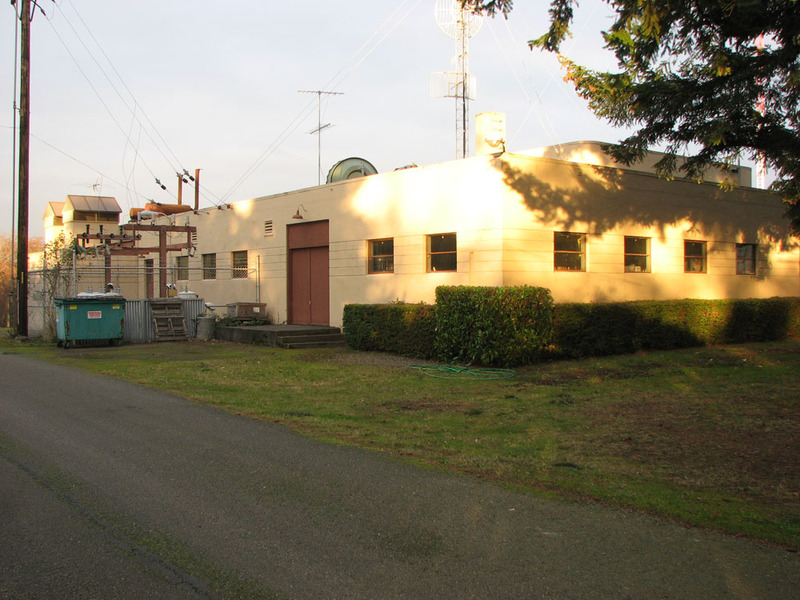 KOMO started to broadcasting at 50,000 watts from Vashon Island using an RCA BTA50F. Like many 50kw transmitter sites of the time, the building was built large to accommodate the transmitter.